Plucking tea, or harvesting tea, is picking fresh tea leaves from the tea tree, which sounds very easy, but in reality it is not. 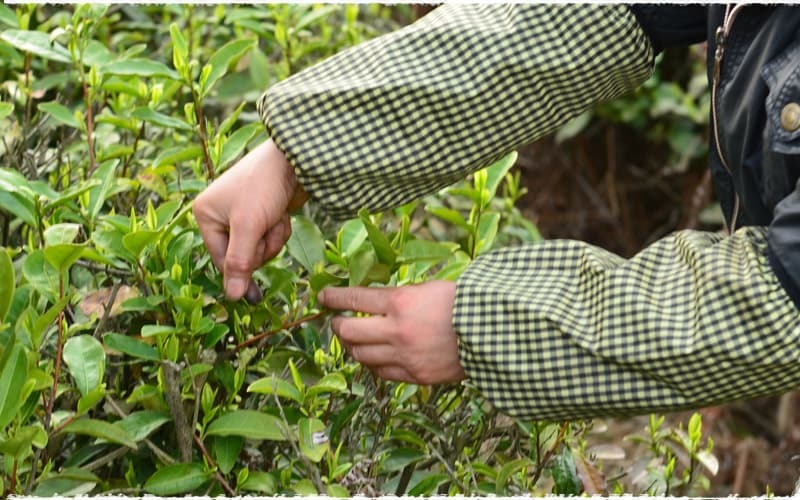 How to plucking tea is not only related to the quality, output and economic benefits of tea, but also related to the growth and development of tea trees. How is tea harvested? There are two main methods of plucking tea: plucking tea by hand and plucking tea by machine. 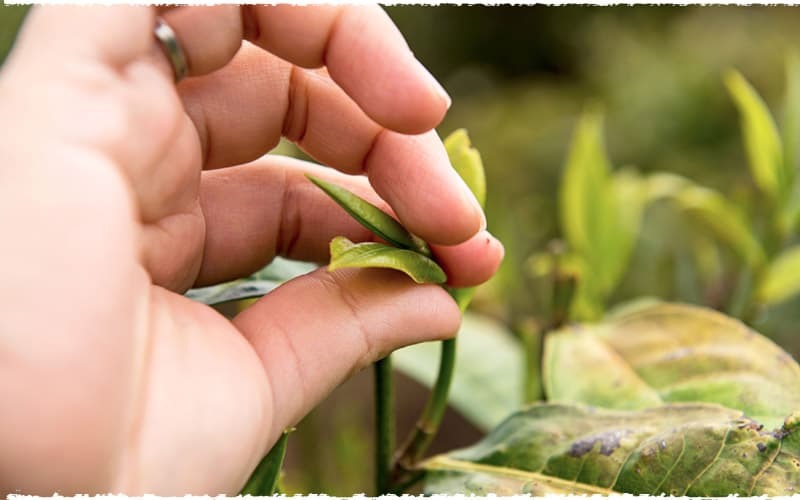 Plucking tea by hand is a traditional way of picking tea leaves, which can be divided into four ways. 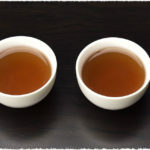 The first one is Zhe Cai, which means breaking off the tea, just hold the branch with the left hand, and gently break off the tea bud or the tea bud with one or two leaves with the index finger and thumb of the right hand. Don’t pinch the tea with the fingernails. 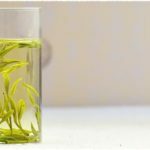 With this method, the tea pluckers can only get little fresh tea leaves and the efficiency is very low, only suitable for making high-quality teas, like TeaVivre Organic Nonpareil Ming Qian Dragon Well Long Jing Green Tea. The second one is Ti Shou Cai, which is pulling the tea. 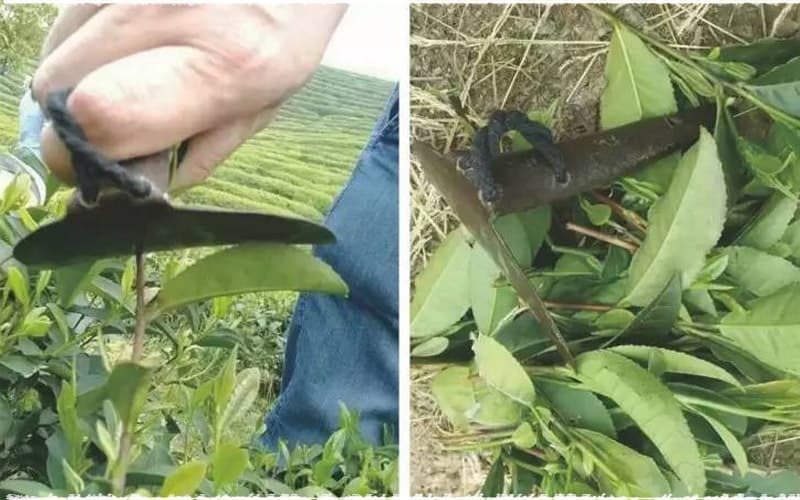 This is most common way of plucking tea by hand, palm down or up, pulling the tea with the plucker grasping the tea shoot using the thumb and forefinger, with the middle finger sometimes used in combination. 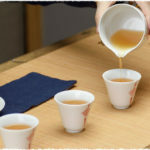 The third one is Shuang Shou Cai, which is plucking tea by both hands and is the method of improving picking efficiency. 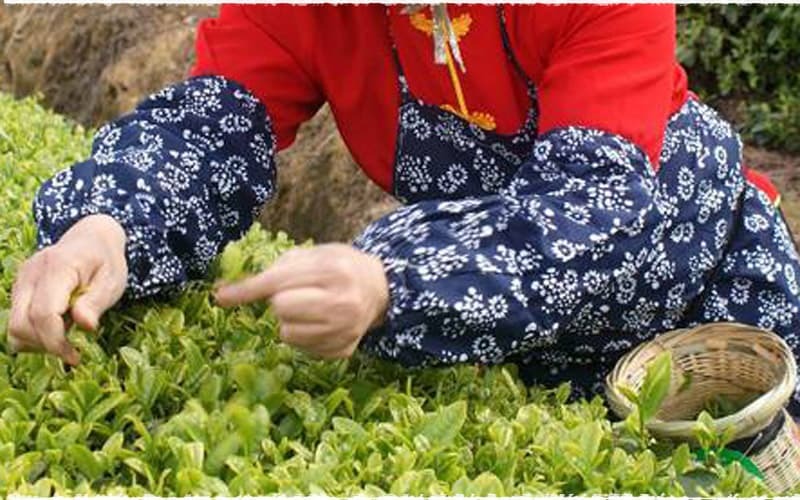 Using the Ti Shou Cai method, the tea pluckers pick the tea leaves with two hands. With this method, the picking efficiency is high and the speed is higher, but the tea trees must have ideal crowns, flat and same germination time. The fourth one is Ge Cai, which is picking tea with simple tools. If the fresh raw materials are thick, and then while picking, the pluckers will use tools. The tools are slightly different from place to place, including half-moon shaped small iron scrapers, sickle or picking pliers. All the tools must be sharp and the plucking speed must be quick to avoid hurting the branches and affecting the germination. Plucking tea by machine is picking tea by machine. To get rid of the pluckers’ toil and grab the best picking time, the tea-picking machine appeared. It can not only improve the picking efficiency, but also save labor, ease harvesting period and shorten the picking cycle. 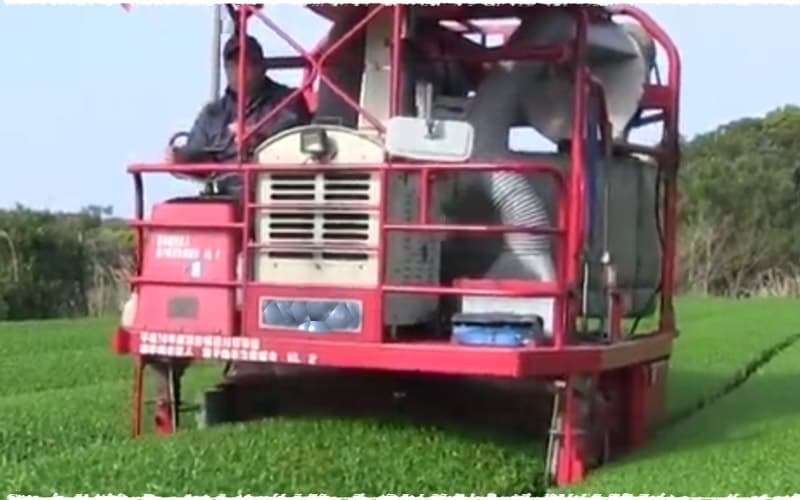 One tea-packing machine can harvest more than 1500kg per day. 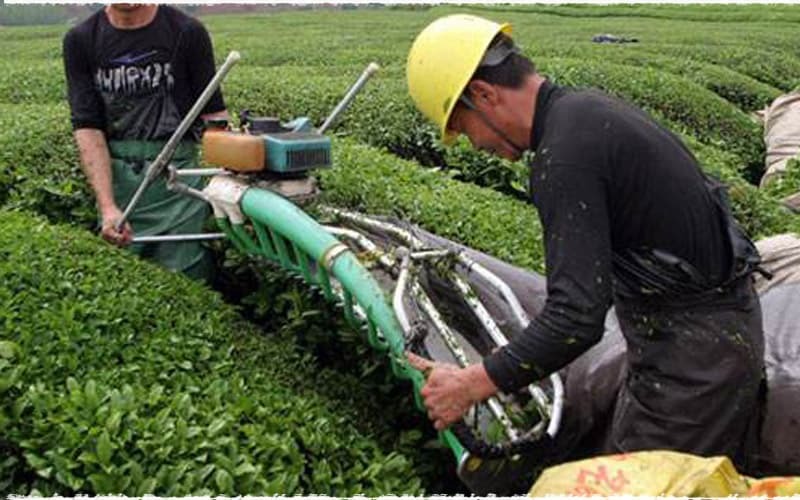 But there are strict requirements for the tea cultivar, tea garden cultivation and management, tea plant pruning and etc. Also this is suitable for making cheap teas. The high-quality tea has high requirements for raw materials, tea buds, one tea bud with one leaf, one tea bud with two leaves and etc. In order to reach those requirements, we can only pick teas by hand. NextNext post: Why Does Tea Have Sweet Aftertaste?